Windows XP-SP2/SP3, Vista, 7/8/10, 32/64. Soft Cleaner Safe is listed in Encrypting and Decrypting category and made available by satheeshsoft for Windows XP-SP2/SP3, Vista, 7/8/10, 32/64.. Unfortunately, we have not yet reviewed Soft Cleaner Safe. If you would like to submit a review of this software, we encourage you to submit us something! What is Soft Cleaner Safe software from satheeshsoft, what is it used for and how to use it? Soft Cleaner Safe (License: Free). Bit by bit encrypt your confidential files with advanced password security. Encryption stands for totally changing your personal data and files with a password security to an unrecognizable format. You can revert the encrypted file back at any time to original file with same password by decryption process. Soft Cleaner Safe creating bit by bit file encryption with password multi tier security so the file size would become nine times larger. Working method: Click on to ‘Select File’. 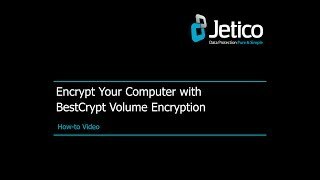 Select the file you wish to encrypt or decrypt. Set the password next to ‘Password’. Click on ‘Safe Encryption’ or ‘Safe Decryption’. While processing it prompts the exact percentage and completion status. After completion you can see the encrypted file with ‘.safe’ extension added with same name or in decryption the original file. Note that in decryption, you should give the correct password that you given in encryption matters. • Encryption with a password and irrecoverable with a duplicate password. User friendly GUI. • Decryption maintains same file quality and data. • No password storing inside encrypted file. • Securely encrypt any file without password using Same PC option and irrecoverable from a different PC with any password or with Same PC option. • High speed processing for encryption and decryption. Advanced password encryption filling with three common characters in background for untouchable file safety. • Optimized pointed accuracy for very large data. • Extra powerful protected encryption any file up to 20 MB upload free with standalone additional asynchronous layers of security. • Option for pause and resume the process during the heavy run. You can put PC in hibernate mode and continue. • Bit by bit encrypt and protect your personal files with direct or indirect password advanced features. Download and install Soft Cleaner Safe safely and without concerns. Soft Cleaner Safe is a software product developed by satheeshsoft and it is listed in Security category under Encrypting and Decrypting. Soft Cleaner Safe is a free software product and it is fully functional for an unlimited time although there may be other versions of this software product. You can run Soft Cleaner Safe on Windows XP-SP2/SP3, Vista, 7/8/10, 32/64. operating systems. Soft Cleaner Safe was last time updated on 09.03.2019 and it has 531 downloads on Download.hr portal. Download and install Soft Cleaner Safe safely and without concerns. Windows XP-SP2/SP3, Vista, Windows 7/8/10, 32/64. What do you think about Soft Cleaner Safe? Download.hr periodically updates software information of Soft Cleaner Safe from the software publisher (satheeshsoft), but some information may be slightly out-of-date or incorrect. Soft Cleaner Safe version 108.3.2019.0 for Windows XP-SP2/SP3, Vista, 7/8/10, 32/64. was listed on Download.hr on 09.03.2019 and it is marked as Freeware. All software products that you can find on Download.hr, including Soft Cleaner Safe, are either free, freeware, shareware, full version, trial, demo or open-source. You can't download any crack or serial number for Soft Cleaner Safe on Download.hr. Every software that you are able to download on our site is freely downloadable and 100% legal. There is no crack, serial number, keygen, hack or activation key for Soft Cleaner Safe present here nor we support any illegal way of software activation. If you like software product please consider supporting the author and buying product. If you can not afford to buy product consider the use of alternative free products. Is it safe to download and install Soft Cleaner Safe? Soft Cleaner Safe was checked for possible viruses by various leading antivirus software products and it is proven to be 100% clean and safe. Although, no malware, spyware or other malicious threats was found we strongly advise you to check product again before installing it on your PC. Please note that laws concerning the use of Soft Cleaner Safe may vary from country to country. Please be sure that you are using Soft Cleaner Safe in accordance with the law in your country. How to uninstall Soft Cleaner Safe? How do I uninstall Soft Cleaner Safe in Windows Vista / Windows 7 / Windows 8 / Windows 10 OS? Make sure the "Soft Cleaner Safe" is highlighted and then make right click, and select Uninstall/Change. How do I uninstall Soft Cleaner Safe in Windows XP? Make sure the "Soft Cleaner Safe" is highlighted, then click "Remove/Uninstall." How do I uninstall Soft Cleaner Safe in Windows 95, 98, Me, NT, 2000? Select "Soft Cleaner Safe" and right click, then select Uninstall/Change.